Landlording is a tough business, but it can be a moneymaking one, too. If you’re considering renting a home, you can hire a Realtor or property manager to find your tenants–for a fee. The other option is to offer your house for rent by owner. Learn about your state’s, county’s and municipality’s laws before you make a move. A consultation with a real estate lawyer is the best way to make sure you don’t overlook anything. Some of the issues landlords encounter are escrow account management, proper handling of tenants’ security deposits, discrimination avoidance, building codes and zoning regulations. Your attorney can also advise you about the type of–and amount off–insurance you need. Professionally written legal documents are an absolute requirement. You can purchase pre-packaged leasing documents from most office-supply stores. Make sure the package you choose is compatible with your state’s laws. Alternately, hire a real estate attorney to write your lease, rental application, eviction notice and a form that allows you or your tenant to request that the lease be terminated. The fresher and cleaner the house looks, the faster it’ll rent and the higher the rent it’ll get. At a minimum, paint each room and repair or replace damaged flooring. In addition, faucets and faucet handles should look new; shades or blinds should be clean, functional and new looking; caulking and grout should be clean and crack-free; and the entire home, including its appliances, should be spotless. Finally, you can head off costly emergency repairs and potential lost rent by getting heating/AC, electrical and plumbing inspections before your tenant moves in. You have to spend money to make money. Your expenses include your mortgage, taxes, insurance, maintenance and repairs and any time the property is vacant (anticipate at least 10-percent vacancy). The rent you charge must be consistent with the local market value. It may not cover all your expenses. Even if it doesn’t, you still stand to profit from tax savings and appreciation of the home’s value. Although you may be able to handle many repairs yourself, you should put together a list of professionals you trust to do work you can’t do or choose not to do. Include plumbers, heating/AC technicians, electricians and general handymen–two or three of each so you can get work done quickly even during busy seasons. Local newspapers and online classifieds such as Craigslist are the most common resources tenants use to find housing. Also consider positing notices on store and employee bulletin boards and, if you’d rent to students, in student unions of local college campuses. If in doubt, run your ads past an attorney to make sure they comply with anti-discrimination laws. There’s no way guarantee you won’t be burned by a tenant, but you can reduce the odds by screening prospects carefully. Check their credit references, especially past landlords. Also, verify employment and income with their employer reference. 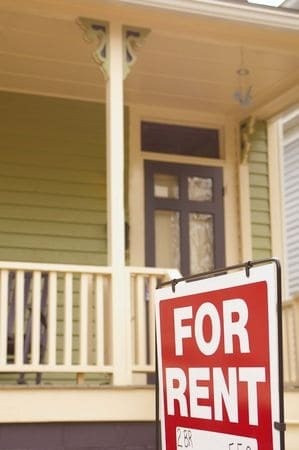 Credit reports are useful, too, but know that many renters would be buyers if they had the credit and cash to purchase. Unless your property is in a larger city where people frequently choose to rent instead of buy there could be a high probability that your pool of applicants are credit-challenged. Tour the property with the tenant before you hand over the keys. Make a list of any damage you find so that you’ll know what’s tenant damage and what’s normal wear when the tenant moves out.